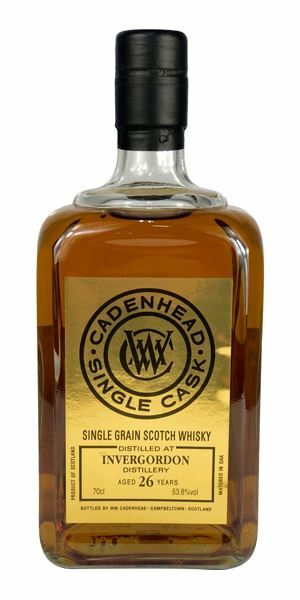 This week, Dave Broom tastes his way through a mixed bag of new Scotch whisky releases, including two single malts, two single grains and a pair of blended malts that form part of Berry Bros & Rudd’s new Classic Range (tasting notes on the remaining two whiskies will follow next week). The second grain hails from Strathclyde, and is another mature example, evoking queenly comparisons and the delicious prospect of hazelnut sprinkles on honeycomb ice cream. ‘Old, but still well-balanced,’ says Broom. 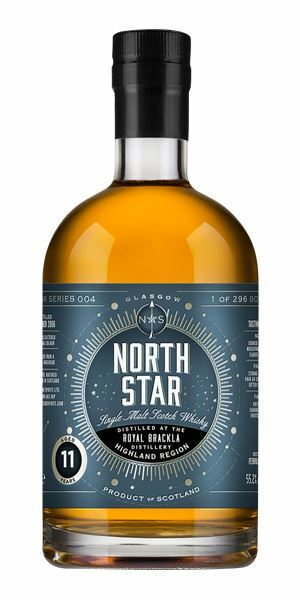 In between the two grains, Broom samples an altogether more youthful single malt from Royal Brackla, bottled by North Star Spirits, and is entranced by its floral scents and racy acidity. 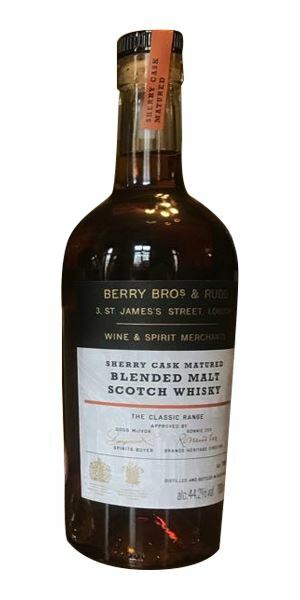 Then he moves on to the first of the Berry Bros blended malts, a Sherry cask-matured example that has him purring about its power, elegance and crazily low price. 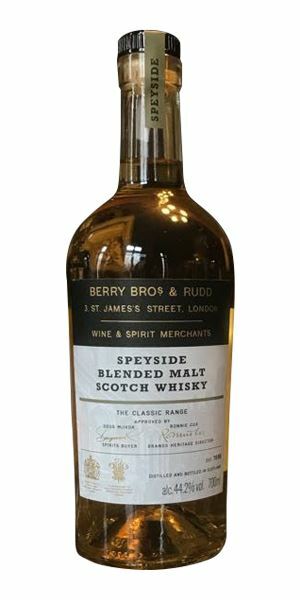 The second example, which combines Speyside malts, showcases the lighter side of the region and should, advises Broom, be ‘everyone’s summer aperitif whisky’. 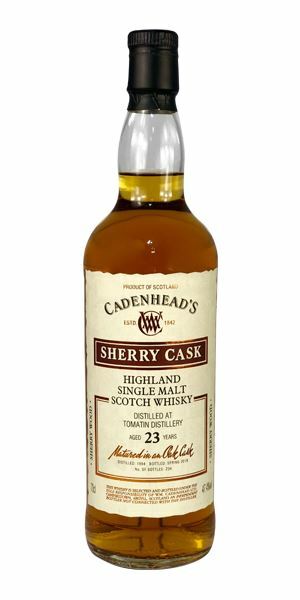 We close proceedings with our second single malt, a 23-year-old Tomatin bottled by Cadenhead. While not without its merits, it’s a ‘mature and cantankerous geezer’ that, like all the whiskies featured this week, is accompanied by some suitable music. Click on the links in ‘Right Place, Right Time’ to find out more. An oddly fruity, indeed almost meaty (which is strange for a grain) start, before there’s cashew, pepper and a dry oak element. There’s a sense that this is old, rather than mature. When water is added there are touches of sheep fank funkiness and more of the wood. The slight charred note could come from the ex-Bourbon hoggie it’s been aged in. It’s grain, Jim, but not as we know it. The fruits now have a peculiar baked quality that’s backed with shellac and hickory, though things become slightly more conventional in the middle of the tongue, where there’s custard and some soft, sweet citrus. Water, though, adds in stale chocolate (last year’s Easter egg), overripe pineapple and wood. It walks its own path, only occasionally giving a nod to the conventional. Which is something you have to admire. Flip-flopping across the senses, like Pere Ubu’s Navvy. Light and estery (and therefore very Brackla), with pear drop/ Apple Sourz and an unripe pineapple note that’s like walking past a busy nail bar. In time, you get grapefruit/ yuzu brightness and slight heat. You can pick out some herbal notes, marjoram especially. All of this is amplified with water, with extra pear blossom and elderflower cordial. Shows a more floral edge to start with: freesia phlox, then comes some green banana, while light vanilla softens the edges before a racy acidity drives things towards the finish. Water does allow it to gain a smoother delivery, but at the expense of that energy, so one drop is sufficient. Though it might lack length and huge complexity, it’s a lot of fun. An early evening bracer with the scent of flowers around you. All the World is Green. On the nuttier side of the Sherry fence, this shows toasted almond and walnut from the off, along with a lightly meaty sweetness, that also brings in baked apple and raisin, autumn woods and soft cacao, then rich Ceylon tea elements and, in time, a tiny touch of cereal. Water mellows things out, adding subtle length and layers of fruit, but don’t overdo it. A surprisingly soft opening, with baked red pepper, red cherry, stewed rhubarb, then rich date elements. It has a bouncy rather than tannic texture and, as the nose suggests, great length. Water changes the cacao into Mars bar, adds in light maltiness and, though it becomes more polished, I prefer the rich impact when neat. More black fruits and Sherried depth. Powerful, elegant and at a crazily low price. Rich and rounded tone. Nubya Garcia: Fly Free. Pale in colour, with a fresh, aromatic nose that mixes together subtle ginger juice, cereal accents, green leaves, cucumber and then a soft apple fruitiness. One of those classic springtime Speysiders that, when it opens, mixes chalk, light rosemary and florals. Don’t be fooled into thinking that light means insubstantial. Water shows there’s a soft, rich depth with cleverly balanced oak. The tip of the tongue picks out that ginger element while adding in the fragrant fruit and flowers, but it’s the texture which is the killer here: soft, silky, slightly creamy and totally seductive, that builds in feel and length. Adding water adds sweetness, but you do lose a little of that texture. Personally I’d leave it neat. Again, great value. Should be everyone’s summer aperitif whisky. This starts with what the Queen thinks the world smells like: emulsion paint, toffee and flowers. When that flies off, we commoners are left with a rather lovely mix of hazelnut sprinkles on honeycomb ice cream, then coir matting and new fence posts. Bigger than some Strathclydes (though with the distillery’s steeliness). Water adds Bajan rum elements, light honey and some tropical fruit, vanilla and fatty white chocolate. 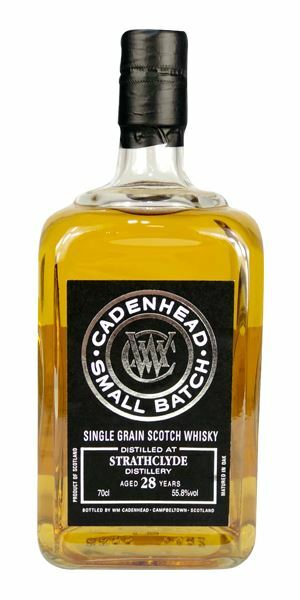 Sweet – initially really sweet – with some orange zest and light oak to start, then comes the honey, now being given a spicy kick by the high alcohol. In time there’s touches of pistachio ice cream and then an orange note that drifts into Lucozade. Water makes it rounded, with some darker fruits, more citrus and a softly enveloping butterscotch. Slightly nutty wood and spices. An old but still well-balanced Strathclyde. A funky little Jungle Plum. There’s this big hit of cordite to start with: clay pigeon shooting range mixed with Lapsang Souchong tea, suggesting things are on the smoky side of sulphury, which is conceivably coming from the Sherry hoggie used for maturation. There’s a nod in the direction of oils, then (over-)stewed peach, sultana and walnut. That sulphur flies off in time, and things seem to start to pull together. A mature and slightly cantankerous geezer. There’s big cask influence at work here, though initially the dried fruit and leatheriness adds a mature richness. Then, around the mid-palate, the iron bands of tannins clamp down. The hint of sulphur continues to menace in the background. Will water soften things? No. In fact, it gets tighter. Not the greatest Sherry hoggie I’ve had recently. For completists only. The whisky equivalent of Mark E Smith in full flow. Farewell, Hip Priest. The Fall: Dr Buck’s Letter. 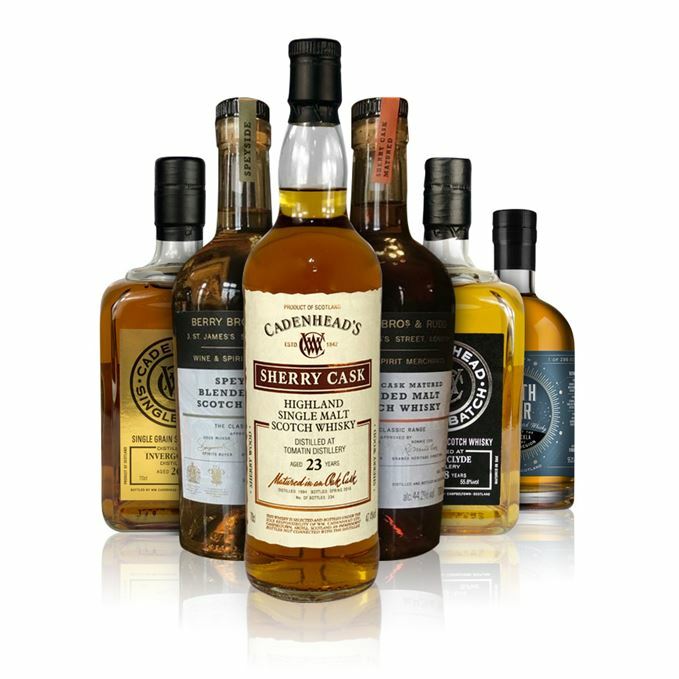 Batch 146 04/05/2018 Four Islay whiskies, including Ardbeg and Bunnahabhain, plus Glenlivet and Aultmore from the SMWS. Batch 144 20/04/2018 Glenmorangie Grand Vintage 1989, plus two Aultmores, Bunnahabhain, Glen Garioch and Teaninich.